Contains up to nine DDS8p Frequency synthesizers. One Synthesizer can act as a master clock for the other eight outputs. Each output channel can be independently programmed in frequency from 10KHz to 120MHz with 1mHz resolution and independently programmed in phase with 14-bit resolution. 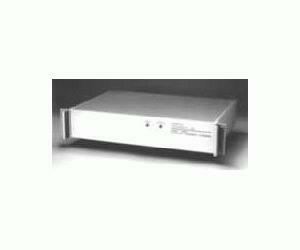 Can accept and lock all outputs to a 10Mhz external reference. Parallel binary control allows frequency and phase switching in approximately 600 nanoseconds.